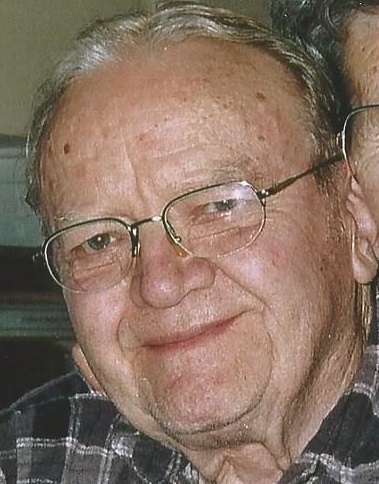 FULTON, NY – John “Jack” Snyder, 90, of Fulton, passed away on Sunday January 3, 2016, at St. Joseph’s Hospital in Syracuse. He retired from Sealright Company in Fulton after 36 years and had owned and operated Snyder’s Vacuum Cleaner & Sewing Machine Sales and Service for 50 years. Jack was a communicant of St. Michael’s Church and Holy Trinity Church and was a member of the St. Michael’s Society. He was a veteran of World War II, serving in the U.S. Army as a currier for Gen. Eisenhower’s Headquarters in the European Theater of Operations. Jack was a member of V.F.W. Post #569 in Fulton and attended several S.H.A.E.F. reunions. He was a life member of the Fulton Polish Home and enjoyed beekeeping for many years. Jack was predeceased by his wife of 55 years, Helen Luzynski Snyder in 2008; and by siblings, Joseph Snyder and Anne Swierczek. Surviving are his children, Mary (Lynn) Taylor of Mechanicville, Teresa (Eric) Czirr of Fulton and Carol (Daniel) Canning of Saranac; six grandchildren, Lisa Czirr, Emily (James) Finelli, Steven and John Canning and Marissa and Linnea Taylor; several nieces and nephews. Calling hours will be held from 2 to 4 p.m. Thursday at Foster Funeral Home, 910 Fay St., Fulton, with services to follow at 4 p.m.
Spring burial with military honors will be at St. Mary’s Cemetery, Fulton. Memorial contributions may be made to the American Red Cross or Habitat for Humanity. I am very sorry to hear of Mr. Snyder’s passing. He was a wonderful person, a good friend of my parents and always helpful to anyhow who needed it. He will be missed. So sorry to hear of Mr. Snyder passing he was a very nice man to talk with. I had gotten to know him when my father and him were room mates at Michaud nursing home RIP Mr Snyder.